Mugello is the name of a Tuscan mountain region motor-sports fans know very well because of its autodrome. 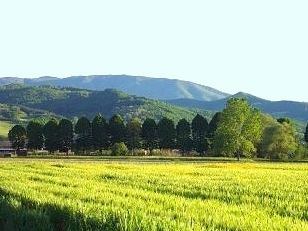 It is also the ideal destination for those who want to spend their holidays hiking in the forests of the Tuscan Apennine, at the discovery of the villages scattered on the mountains and of their interesting monuments, often ignored on traditional tours. 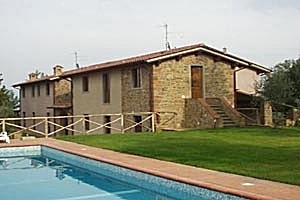 Our agency presents a wide selection of holiday villas and country houses in Mugello and in Tuscany - villas with and without swimming pool, villas immersed in the green Tuscan countryside, castles in panoramic position and farm holiday apartments. Find the accommodation for your next holidays in the wonderful Mugello valley among the country houses in Mugello we have selected for you in this page and in our website. 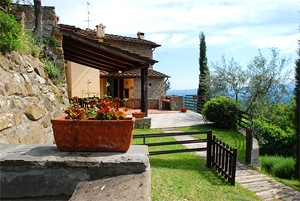 Rent a country house in Mugello for your next holidays in Tuscany. Farmhouse sleeping 12 near Montevarchi (Arezzo), in Upper Valdarno. Garden, swimming pool, basketball/tennis/volleyball pitch, Internet connection, hydromassage. Beautiful view of the valley of the Arno and the ridge of Pratomagno. Possibility of organising wine tasting events and cooking lessons.